According to Ayurveda Facial paralysis is a disease in which face, eyes of one side are involved. But according to Maharishi Charak pathogenesis of Facial paralysis or Bell’s palsy is due to vitiation of dosha. Facial paralysis is due to 7th cranial nerve get inflammed or compression of 7th nerve. Sixth nerve is very close to it. Their compression or inflammation causes the paralysis of the muscles of face. In facial paralysis seventh motor nerve get inflamed or compressed. It is originated from lower portion of pons. When there is any tumor, clotting of blood, bleeding or due to injury then opposite side of the face get paralyzed. It is because the nerve coming from midbrain goes to opposite side of pons. In this type paralysis, some time one complete side is involved. 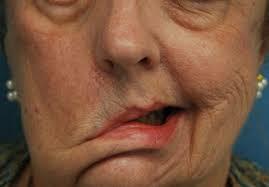 When there is tumor, blood clotting and inflamation of pons is there then same side of face is involved. When facial nerve is involved due to compression then there is chewing problem and yawing problem. Due to cold weather and due to any abscess Facial nerve get involved. I recommended that patients must undergo MRI as now facility is available, If the cause is tumor. Take your treatment if surgery is needed u must go for that. For clotting and hypertension emergency must go under hospitalization. After that no role of allopathic medicine take only hypetnsive pills or anticoagulant. After that take as alternative threpy of ayurveda. For facial nerve paralysis and bell’s palsy no allopathic treatment. Take ayurveda consultation and get massage from ayurvedic oils and herbal and ayurvedic medicine from Indian ayurvedic physician and with in 1to 2 month therapy bell’s palsy is 100 percent cured on the other allopathic treatment has only steroids to give. Elderly women who are satisfied with their lives have a higher bone density and suffer from osteoporosis less frequently than their unsatisfied peers says a new study. Bone density gets lower as people age however for women menopause constitutes a significant risk factor. Other factor of osteoporosis includes low level of physical activity, low intake of calcium and vitamin d as well as some drugs and medical conditions. Long term effects of stress associated with depression can have detrimental effects on metabolism and in consequence on bone health. Subjective well being is an extensive indicator of mental health and depression in particular and in the new study life satisfaction was used to measure subject wellbeing. It’s found in study life satisfaction deteriorated the bone density weakened by 85 per cent in comparison to persons whose life satisfaction improved. This entry was posted in BUY ONLINE BEST QUALITY HERBS, FACIAL PARALYSIS AND AYURVEDIC TREATMENT, free online ayurvedic consultation, Healthcare and tagged BUY ONLINE BEST QUALITY HERBS, FACIAL PARALYSIS AND ALTERNATIVE TREATMENT, FACIAL PARALYSIS AND AYURVEDIC CONSULTATION, FACIAL PARALYSIS AND AYURVEDIC HERBS, FACIAL PARALYSIS AND AYURVEDIC TREATMENT, OSTEOPOROSIS AND AYURVEDA on December 11, 2014 by ayurvedicconsult.